Glass Bottom Boat Tours: Navigate the crystal waters of the Great Barrier Reef with full commentary as you enjoy spectacular views of the colourful corals, majestic manta rays, friendly dolphins and even whales (in season) in the comfort of a glass bottomed boat. Reef Walking: Low tide provides the unique opportunity to walk your way through the lagoon all the way from the beach to the edge of the reef. An experienced guide explains the complex reef eco-system as you spot a myriad of marine life. Nature Walks: With a daily changing itinerary, these nature walks are a great way to explore the island's highlights and the unique eco-system of this coral cay including the beach, lagoon, bird rookery, light house and historic artefacts. Whale Watching: The majestic humpback whales make their annual migration from the Antarctic to the central Queensland coast's warmer waters and pass by Lady Elliot Island from June to October. The passing parade can be seen from the beach and the edge of the reef. Turtle Watching: November to February is turtle nesting season and guides help you find the best view of the Green and Loggerhead turtles coming ashore nightly to lay their eggs or the little hatchlings making their way to the sea. Fish Feeding: Known as the 'fish pool', this location attracts a myriad of colourful reef fish daily. The activities officers will show you how to hand feed them for a truly unique wildlife experience. Slide Shows & Evening Lectures: A fantastic opportunity to learn more about Lady Elliot Island and the Great Barrier Reef with evening presentations in the Reef Education Centre. Diving: Qualified dive staff lead regular dives to the Lighthouse Bommie, Encounters, the Blow Hole and Hiro's Cave for those with more experience in diving and snorkelling. 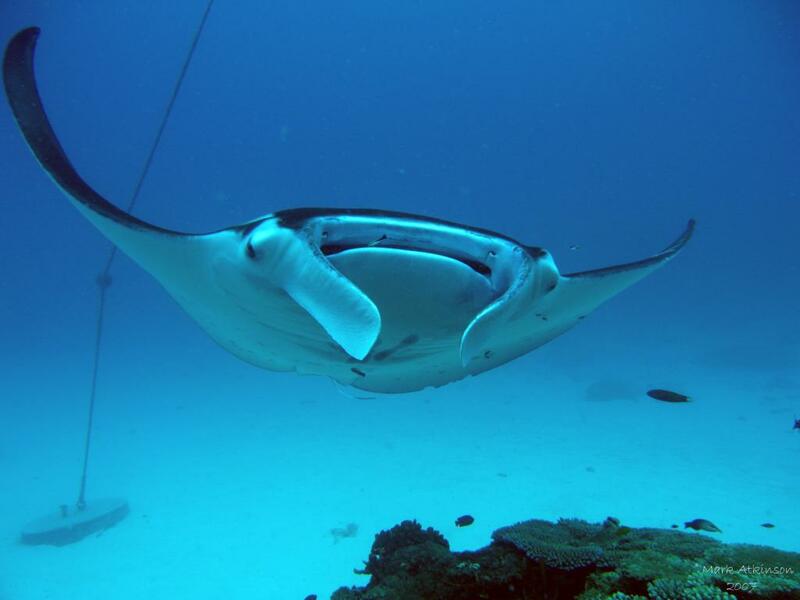 All dive sites are just a short boat ride away or are easily accessed off the beach. For beginners snorkelling, the lagoon is ideal with plenty of colourful coral and tropical fish. Snorkelling lessons for beginners are conducted in the pool.